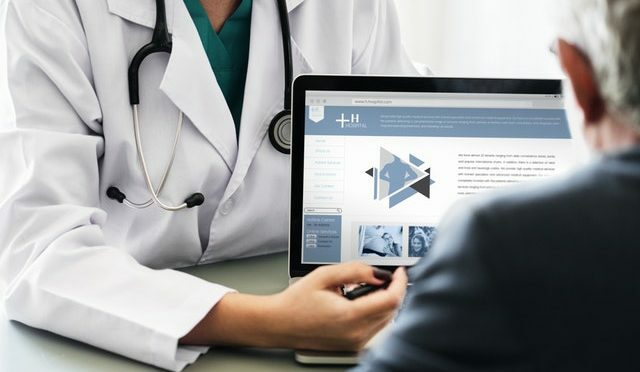 Hospitals or Medical Centres are now highly digitalised with IT support and they need to assure that the patient data is secure and available to the doctors at all times. Doctors should have access to the patient data when they need it and multiple IT systems work together to ensure this happens seamlessly. The IT Support Systems that provide complete support to the hospitals include the monitoring of the medical software, updating the software so it runs smoothly, server monitoring, online system backups and a central communication server, as well as traditional IT infrastructure like servers, databases and storage systems. We provide complete IT infrastructure for hospitals and medical centres which includes hardware for the system network, cables, switches, servers, computers and storage systems. We make sure the medical IT softwares is up to date and compatible with the IT systems. Whether you are opening a new medical centre or upgrading your existing hardware, we can get the specialised hardware organised for you. We take complete care of the medical software and do a centralised monitoring for it to work effectively. The foundation of these medical devices and systems require comprehensive IT monitoring and updates for data transfer and the application performance must be kept under continuous observation. It is important for the medical devices to integrate the monitoring effectively. Data security plays an important role and security is the key for a hospital or a medical centre. IT systems for hospitals are entwined with various other institutions such as insurance companies, doctors, building technology, administration, etc…, placing an extremely high expectation on the firewalls, virus scanners, and secure servers. We understand how important the data security is for a healthcare practice and provide complete support to our medical clients based in Perth. Our IT support systems have the option of being cloud-based and we have successfully migrated some of our medical clients to the cloud. Upgrading your medical servers to the cloud will give you the flexibility to work anytime from anywhere and you will be able to access your data. This solution works effectively for the Medical Practice Managers who are managing multiple health practices. We are committed to consistently deliver value, provide quality services and have dedicated IT support specialists to look after your IT needs. Our expert IT support team will guide you through the process of choosing the right software, hardware, hosting, data security and provide complete IT support arrangements for your medical centre. Once your healthcare practice is established, we can upgrade your IT progressively to deliver increased efficiency and performance as and when needed. So if you are looking for setting up or upgrading your IT support for your medical centre or hospital, give us a call 08 9244 2290 and let our IT Support experts guide you through the process.